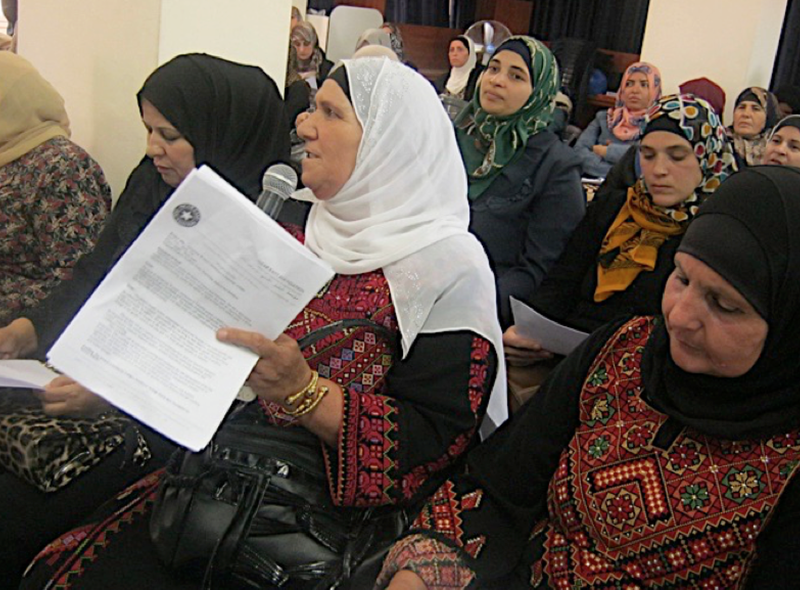 WEST BANK, February 2015 – Women play an integral role in the Palestinian economy. But many factors hinder their ability to launch and sustain viable businesses. They face restrictions on their movements and security constraints. They have limited opportunities to meet successful role models and gain access to business associations. The majority of women-owned enterprises in Palestine are not registered with the Chamber of Commerce. The Advancing Women’s Business in the Palestinian Territories project (AWBP), implemented by the Near East Foundation (NEF) in partnership with the Cherie Blair Foundation for Women and the Trafigura Foundation, aims to help Palestinian women entrepreneurs expand their businesses and drive economic development by supporting enterprises to be market- oriented, scalable, and generate jobs. The AWBP project focuses on the “missing middle” of women entrepreneurs, who have the potential to become an integral part of the small- and medium-sized enterprise sector, play a key role in revitalizing the Palestinian economy, and trigger social change. 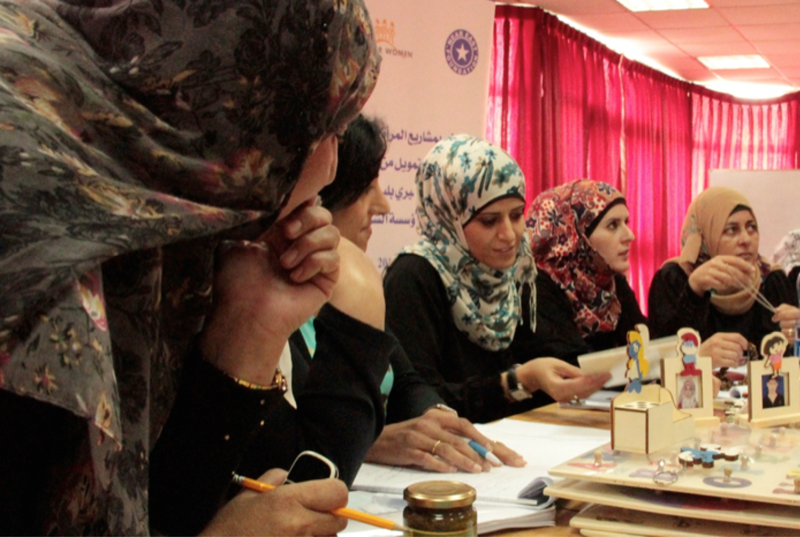 In August 2014, more than 120 woman entrepreneurs attended events in Ramallah, Bethlehem, and Hebron that launched the project, which will provide them with the necessary skills and tools needed to take their business models to the next level. As a result of these events, more than 300 applications were received from moderate-sized businesses owned by women in the three target regions. Initially, 114 applicants were selected for the intensive business and marketing training. After evaluation of their business plans and trainer feedback, the 60 top performing women entrepreneurs moved on the second phase of the project and are receiving intensive business coaching (additional applicants will join the project in 2015). In January 2015, 35 of these women entrepreneurs advanced to receive further one-on-one training, coaching, and financial support in an incubation-type process designed to quickly grow their businesses. Tailored training and support will not only strengthen the technical and managerial skills of the women entrepreneurs, but will also provide opportunities for the women to discuss and share experiences, exchange ideas, and expand business connections and relationships among their peers. For instance, during the training session in Hebron, Abeer Badwai secured six orders for her pastries from other participants. “The training was the best location to market my pastries,” Abeer says.